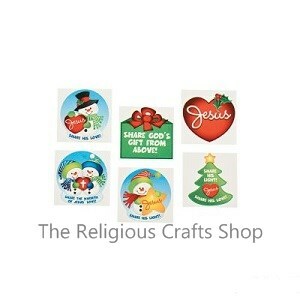 Christmas Pack of Christian Tattoos. Colourful and full of Christmas cheer, these tattoos are always popular with children. Tattoos come in a range of designs, all with a Christian message.